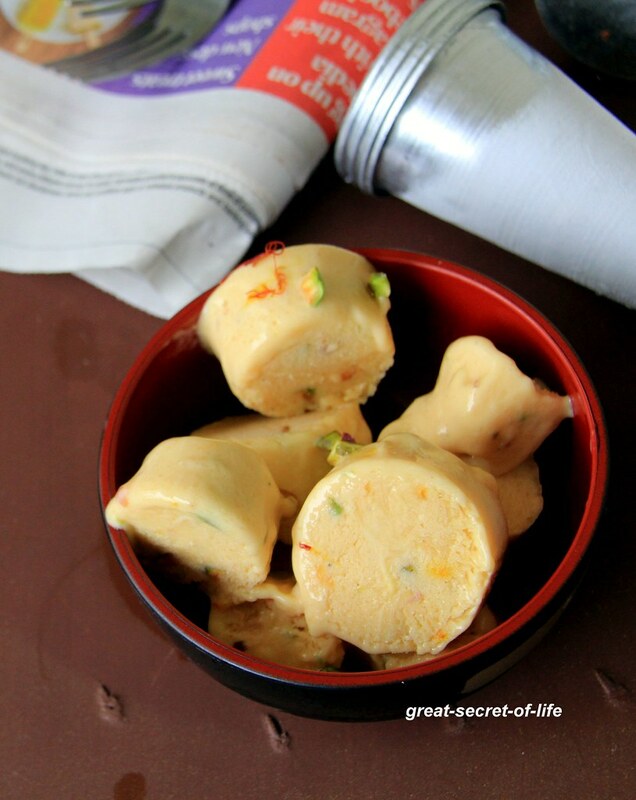 My husband loves Kulfi. 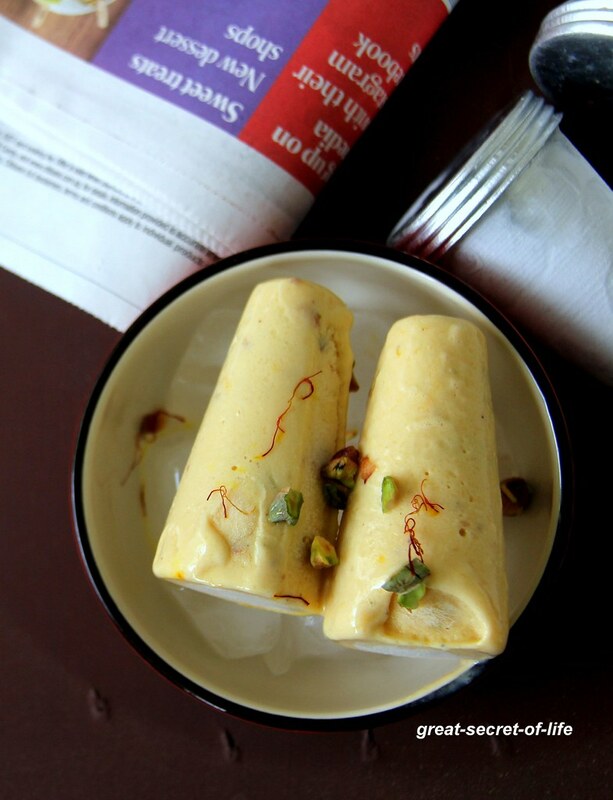 Also after trying out Kulfi, I wanted to try out Mango kulfi. 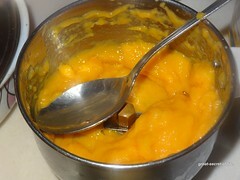 This year for some reason I liked alphonso mango more than all other varieties (May be I am not choosing right ones). 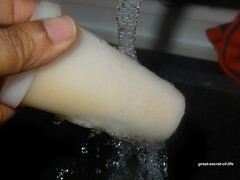 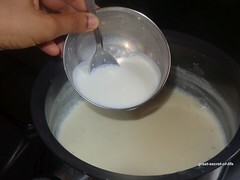 In Kulfi I have used bread for thickening but this time I tried corn flour for thickening. 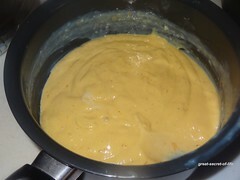 Even though both tasted good I preferred the bread choice is yours! 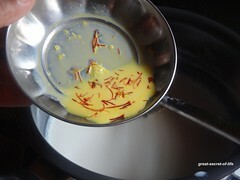 Mango and saffron combo is my favourite too. 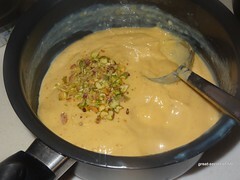 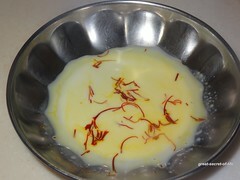 So I have added saffron to this Kulfi too. 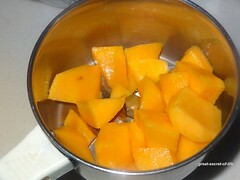 Peel mango and chop it . 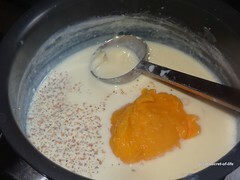 .Grind it to smooth paste. 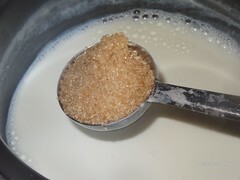 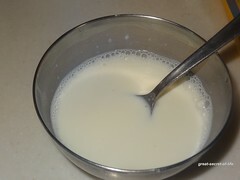 Boil the milk till it is reduced to half.. Add Sugar. 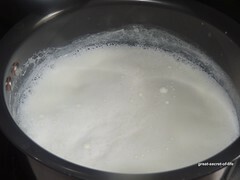 Continue to boil till sugar dissolves. 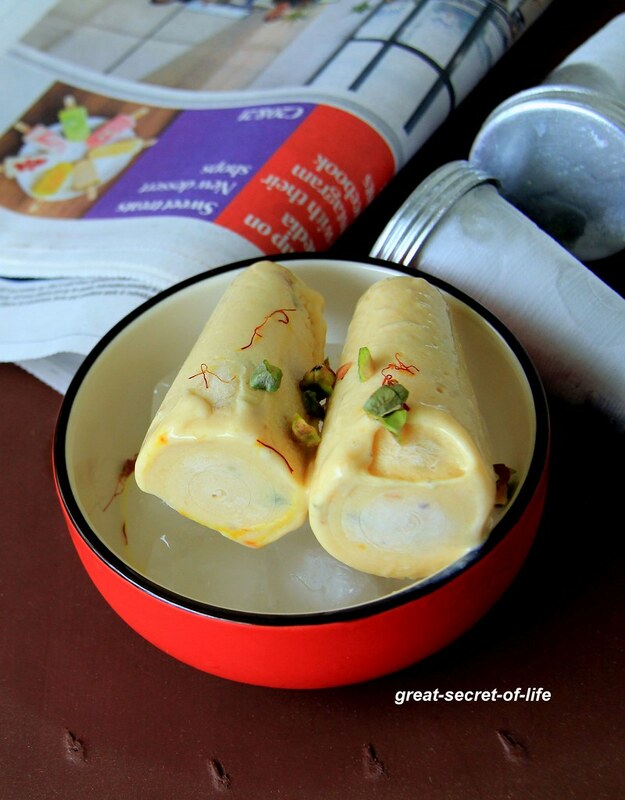 Delicious kulfis and so perfect for the season..